Apple unloaded a whole lot of new today at the WWDC, both software and hardware related news was flying left and right. But likely the most widely used sector of Apple products, is their mobile operating system. 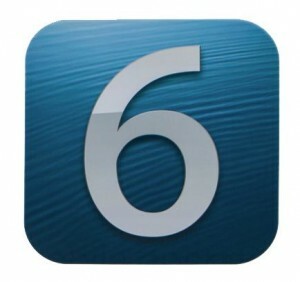 Today we got a glimpse of what to expect in the new iOS6. From things we’ve been waiting years for, to some new surprises many hadn’t even thought of yet, here is the rundown of what you can look forward to this fall, hopefully along with the launch of the iPhone 5. 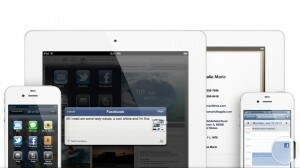 With iOS 5 we saw Apple begin to really take advantage of the social media platform with full Twitter integration. Well they’re at it again, and this time it’s Facebook. 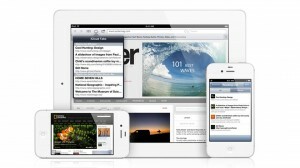 The newly public company is now completely integrated into the iPhone. 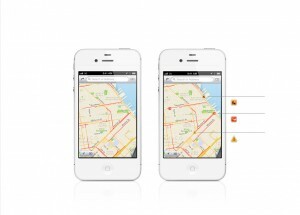 It will be integrated with Siri, your calendar, and maps to name a few things. Just one step closer to making your iPhone the true center of your social world. FaceTime is now compatible over your data plan. Similar to the Skype app, the quality will suffer when it’s on 3G, but hey, at least now you can do it. 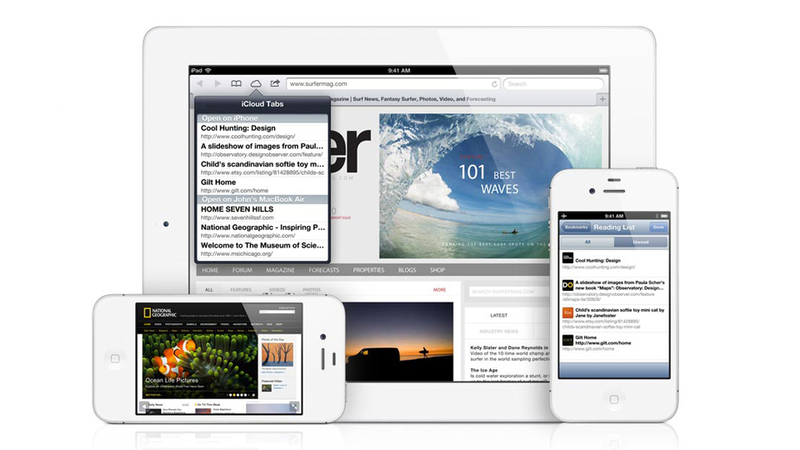 Safari, the iPhones native browser is getting another update. Now you’ll be able to synchronize your Safari tabs with your iPad and Macbook across iCloud, for a unified browsing experience. Along with this new update comes a long awaited feature for anybody who is a fan of photo-upload sites, or forum sites such as Reddit. 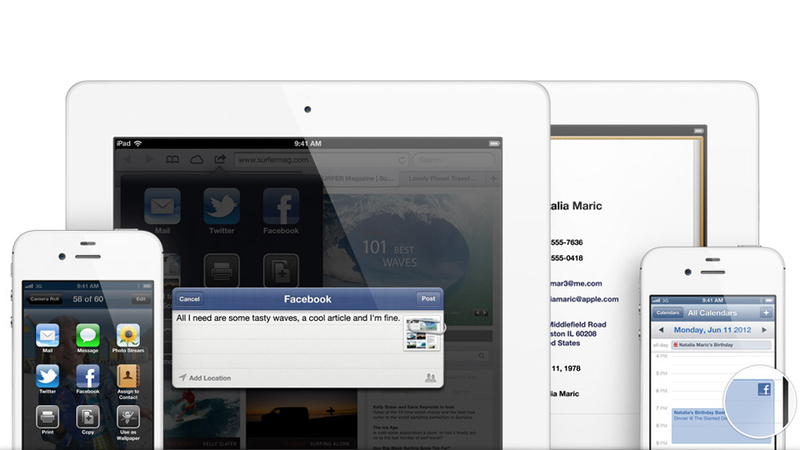 Safari now supports uploading pictures to websites straight from the browser. You’ll get a prompt, and then you can choose to upload any photo from your camera roll. This will eliminate a lot of 3rd party apps that perform this function now for sites like imgur, flickr, and picasa. Now the most exciting part. Maps. 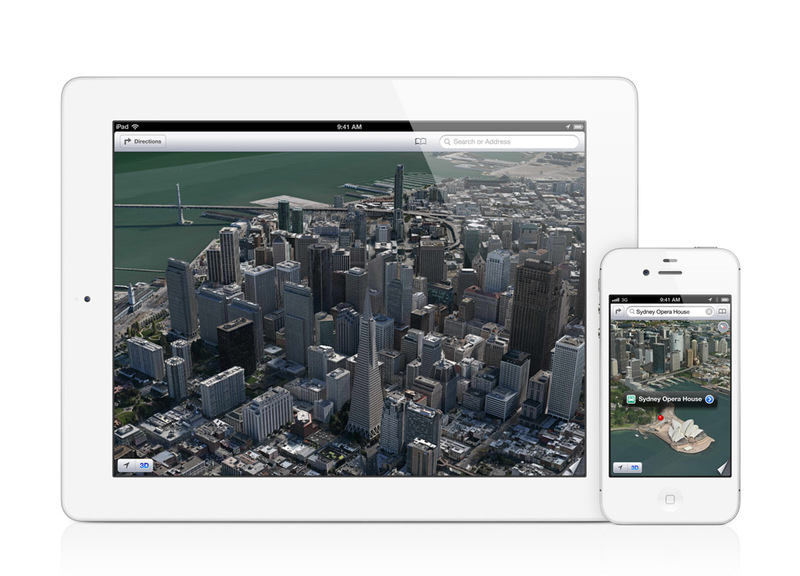 Last year Apple bought 3D map making company C3, and the rumors started flying. 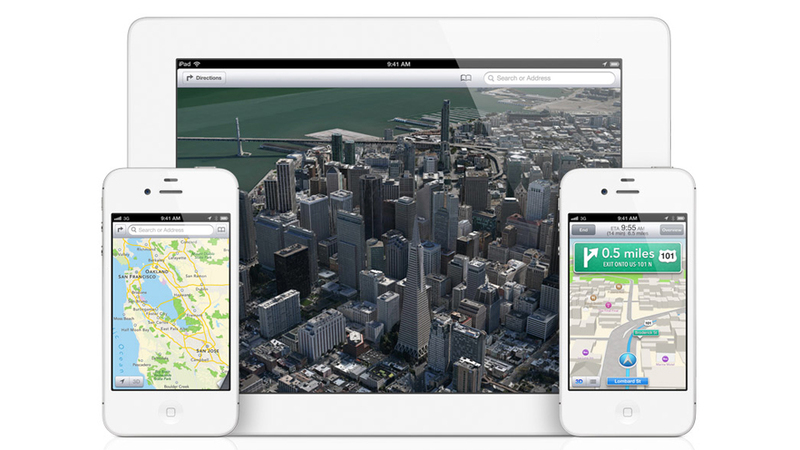 Now those rumors have come to fruition as Apple unveils their new native Maps app, kicking Google off of the estimated 300+ Million iOS devices worldwide. The joke goes that soon we’ll the natives search be Apples own. With this new app we’ll be seeing a whole lot of neat stuff. One of the most highly anticipated being turn-by-turn navigation, a feature that already exists on the latest Android phones. Apple has had no fear in practically destroying entire markets. They destroyed the PDA/Planner market, decimated the point and shoot camera market, and now have their cross-hairs on GPS devices. Along with Android this will now mark the majority of smartphone users having GPS navigation at their fingertips, without having to buy a separate device. Surely as soon as this is released we’ll be hearing a lot of talk about things like reliability, accuracy, and ease of use. 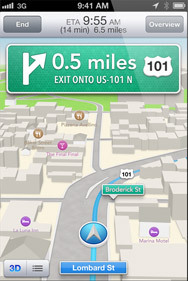 The maps also feature live traffic updates, which Google maps had, but not as detailed as this. 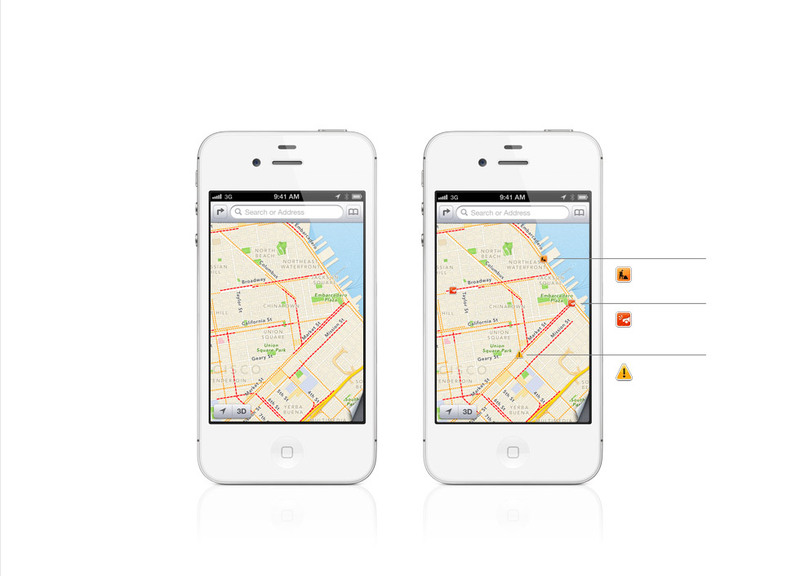 The maps will show construction, accidents, traffic flow, and other local alerts. 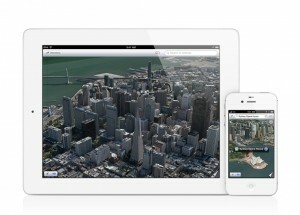 Aside from these new features, there is a very Google-earth-esque feature in there, just for kicks. It’s called Flyover, and it’s going to make searching for the closest Chinese restaurant a whole lot more fun. Here we get to see those 3D maps that C3 was working on, and boy are they beautiful. Expect to see all these features available as an update this fall, along with an updated version of Siri, and a place to keep all your coupons and Starbucks cards in one place on your phone. 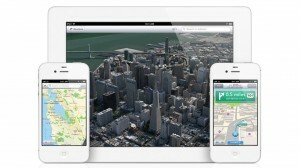 iOS 6 is quite impressive, now we just need to see that new phone.